In Chinese medicine, the lotus leaf is classified as a bitter herb. According to traditional practitioners, bitter herbs trigger the production of bile and hydrochloric acid, which stimulate digestion and ease flatulence. Bile secretion assists in the breakdown of fats, and serves as a liver tonic. As an astringent, lotus leaf has the ability to stop bleeding, such as hematuria (blood in urine), hematemesis (blood in vomit) and excessive menstrual bleeding. Scientific research has revealed that lotus leaf extract contains alkaloids, flavonoids and tannins. The isoquinoline alkaloids in the leaf have sedative and antispasmodic properties. 1. 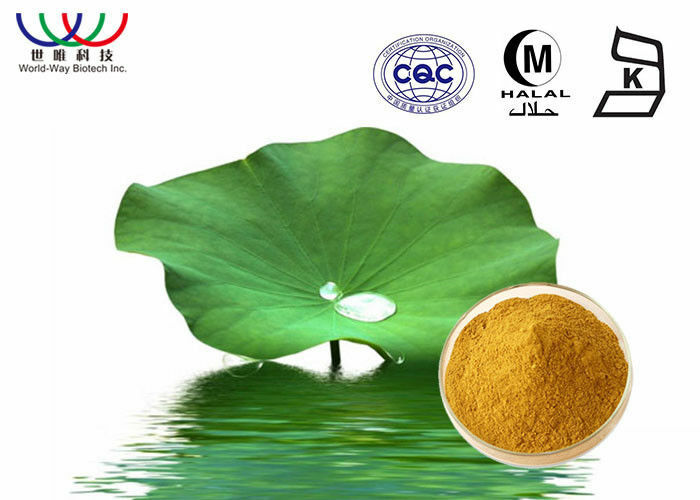 Lotus leaf extract applied in food filed, it is widely used as loose weight and keep healthy. 3. Lotus leaf extract applied in cosmetic field, it is widely added into cosmetics.